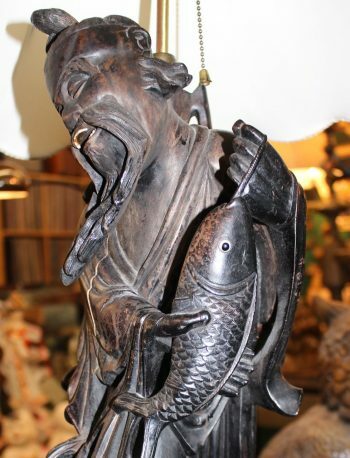 These carved wooden lamps are a combination of creepy & fabulous! 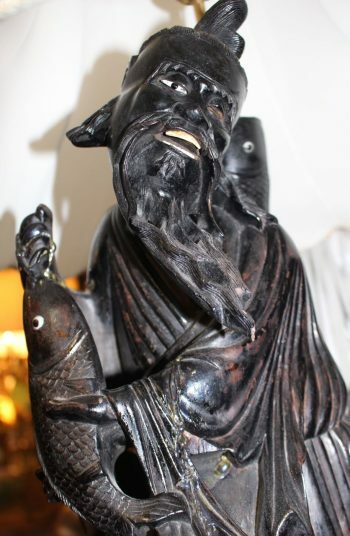 They are a pair and feature intricately carved Asian fisherman. 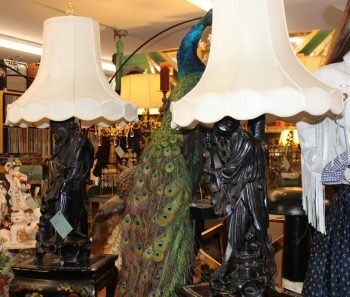 Both lamps are in working condition with vintage fabric shades. 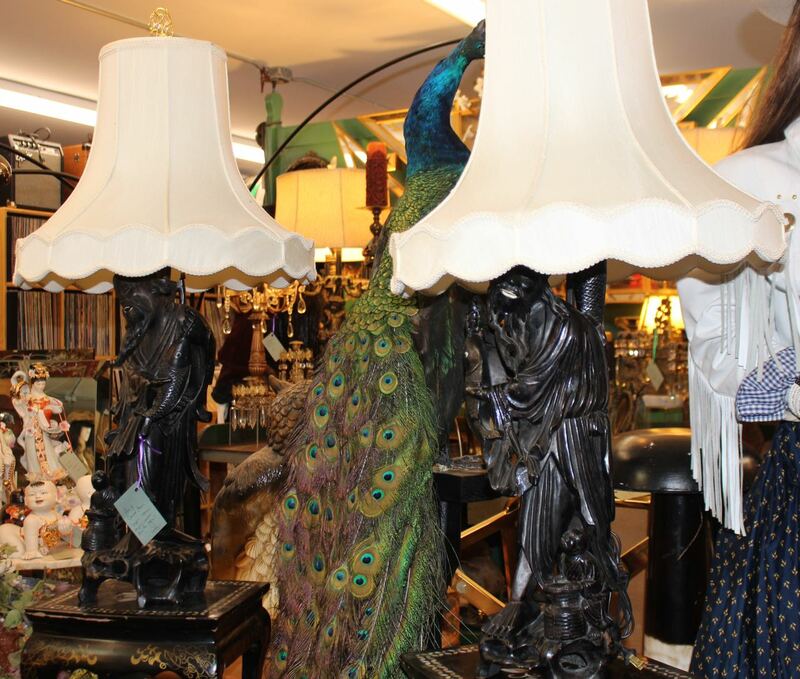 With the shades, these lamps are approximately 3′ tall. Selling as a pair.